The co-op features are covered (rather cleanly, I must say) in the first couple minutes of the update video. If that's all you care about, then watch those two minutes, be joyous and happy, and enjoy the rest of the day! If you're interested in what else Larian has in store for the game, then the rest of the video goes on to talk about a few new features coming to the sequel. First up is crafting your own skill books (some of which are not available as random drops or buys in the game) by combining other skill books (e.g., Necromancy + Water = Blood Rain), then rune crafting to boost your gear, and finally talking to ghosts. All of this will be coming to the game when it launches on PC next month but, sadly, not sooner. As Sven goes on to say at the end of the video, rather than focus efforts on getting a patch out with some of these new things, they'd rather meet the September 14 release date and have everything in it then. 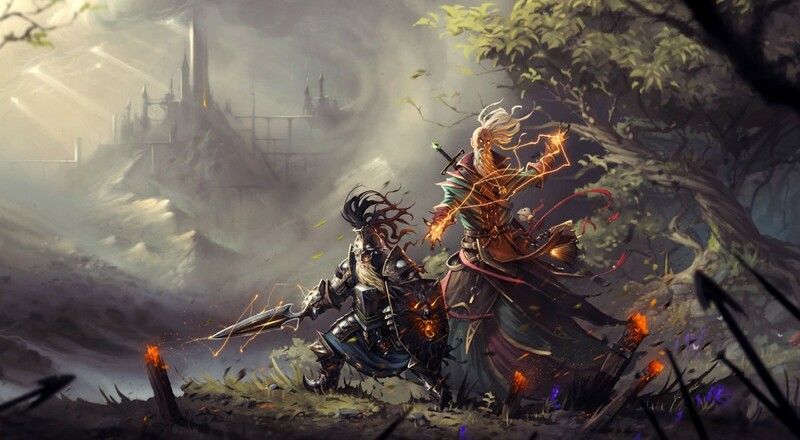 Divinity: Original Sin 2 is currently in Early Access on Steam and will be fully released on September 14. PlayStation 4 and Xbox One versions are planned for a later date, presumably with many, if not all, of the same co-op features as the PC version.